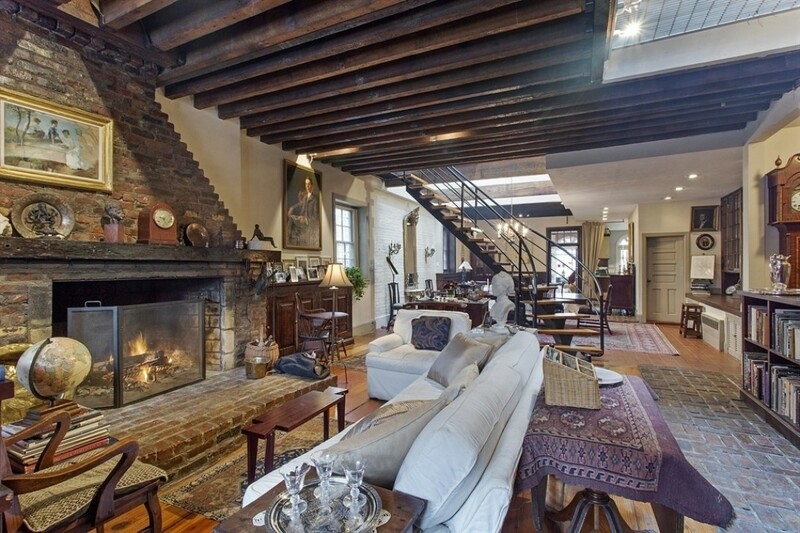 172 Pacific Street: This Cobble Hill carriage house—which sold for $6.995 million—was built in 1840 and boasts high ceilings with exposed beams, a woodburning fireplace, and a loft-like feel. See the story for active listings of similar properties. When you ask many New Yorkers what their dream home would be, t’s no wonder that they say a carriage house: Few city properties are as charming. That said, the former stables come on the market only rarely and aren’t free of flaws, either. In this week’s Buy Curious, Halstead’s Wendy Gleason, Corcoran’s Deborah Rieders, and Leslie J. Garfield’s Matthew Pravda explain the allure—and the challenges—of owning a carriage house. I have my heart set on living in a carriage house. What can I expect? The first thing to note for prospective buyers is that you must be patient. “It’s a waiting game,” says Rieders. “You’re never going to turn on your computer and find 50 carriage houses.” The homes are so few and far between, she explains, because in many cases they were converted to commercial properties. They're most often found behind other existing properties. 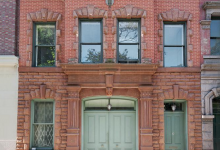 “Wherever there were big brownstones, quite often people would have carriage houses in the back,” Rieders explains, mentioning Brooklyn Heights, Cobble Hill, and Clinton Hill as neighborhoods to hunt for them. 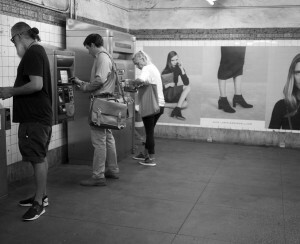 They also pop up from time to time in Greenwich Village and the Upper East Side. And prepare to pay up: Buyers flock to carriage houses when they come on the market. And because many of them come with garages—more on that below—they're priced with a premium for the parking space, Pravda says. 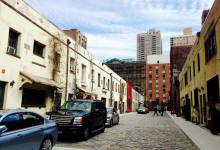 Carriage houses are often gorgeous slices of New York history. Originally built during the 19th century as stables for the wealthy, they’re identifiable by their distinctive arched doorways, where carriages once entered. The ground floors are frequently loft-like, thanks to high ceilings that once accommodated horses, while the top floors, which might have housed hay lofts or rooms for groomsmen, are on the lower side. “It’s all about charm,” Gleason says. 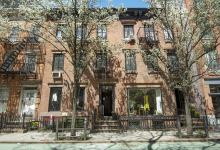 “You get that wonderful sense of history.” One example is a property she's currently representing, a combination four-story townhouse and two-story carriage house in the West Village (pictured below). The home not only features early-1800s design, but also has received a stamp of approval from more recent prominent figures. “Creative people and artists lived there,” Gleason says, citing photographer Diane Arbus as one of its most famous tenants. And since carriage houses typically have curb cuts where the carriages used to enter and exit, he adds, owners benefit from an additional parking spot outside. “Those are big bonuses—it’s very suburban,” Pravda observes. “Everybody loves a carriage house,” says Rieders, “but sometimes they say it’s their ideal property not quite understanding what they’re signing up for. She points out that despite their expense, many carriage houses come without any outdoor space, as they were originally built to take up entire lots. “Back then, they were commercial property,” she says, which means no gardens or backyards. On the bright side, this means that there's the potential to use carriage houses as live/work spaces; Pravda recalls how the graphic artist Henry Wolf kept his studio on the ground floor of his Upper East Side carriage house and lived above it. "They make for great art galleries because of their width and high ceilings," Pravda says. Some homeowners ward off the dimness through renovations: Installing skylights brightens the space, and building roof decks creates an outdoor sanctuary when there’s no room for ground floor greenery. Others will chop off some of the rear part of the home to create gardens, Rieders says. Carriage houses were built in a bygone era, when New York was made up of cobblestone streets and open fields, and some will require extensive work to bring them into the modern world; expect to pay anywhere from $500 to $1,000 per square foot. 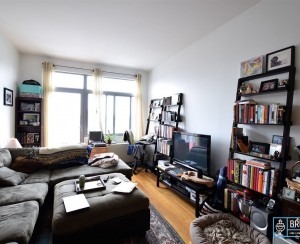 Take this Crown Heights listing from a couple years ago, for example, which Curbed described as having a “drab” and “ugly” exterior in serious need of updating. “Expect to do a lot of renovating,” Pravda says, though he has represented a couple homes that came onto the market in good shape. “People have done interesting things in the Village,” Gleason says of remodeled carriage houses, and there’s always the opportunity to do more. With her current listing, for instance, the new homeowner would be permitted to build an additional story—though note that such alterations may require the approval of the city's Landmark Preservation Committee, depending on whether the building has been designated a landmark. 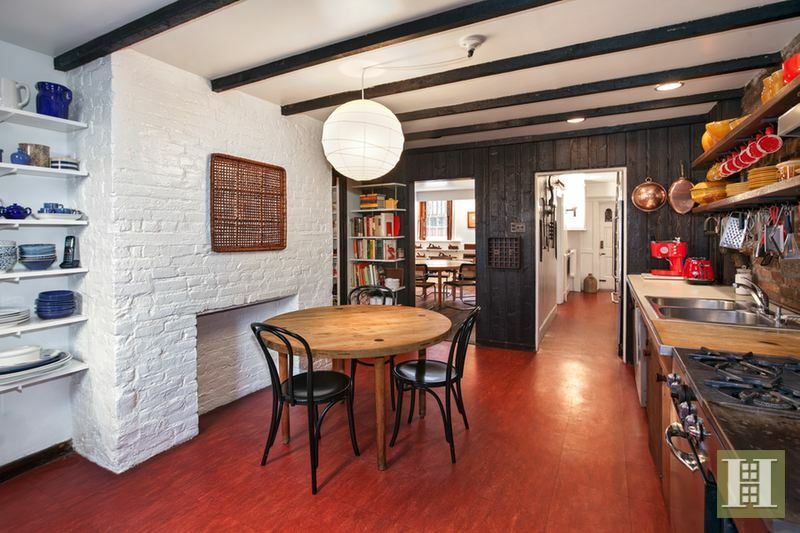 And the historic features, after all, are a huge component of a carriage house’s charm. “The last few I sold were all about original detail, and the owners tried to preserve as much as they could from the original form,” Pravda says. West Village townhouse with carriage house, $12.5 million: Located at 131 Charles Street, you’ll find two properties for the price of one. The townhouse was built in the Federal style in 1834, while the carriage house, built in 1889, is entered through a private passageway beside it. The homes are on the National Register of Historic Places, and include original millwork and fireplaces. It also comes with a garden separating the two buildings. 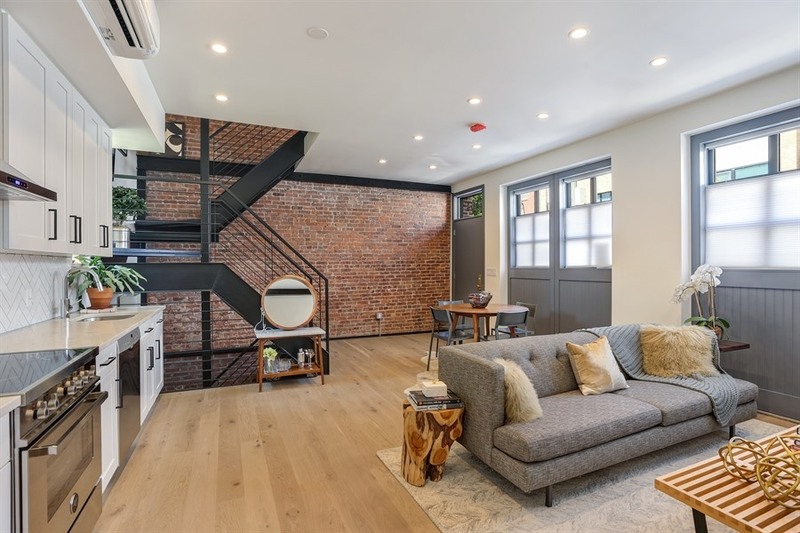 Carroll Gardens three-bedroom carriage house, $2.25 million: Located at 164 West 9th Street, this triplex has been thoroughly renovated, and offers outdoor space in the form of two terraces. On the ground floor, you'll find an open plan living and dining room, with a large finished basement below. There are historic touches like exposed brick and oak floors alongside the contemporary finishes, as well.